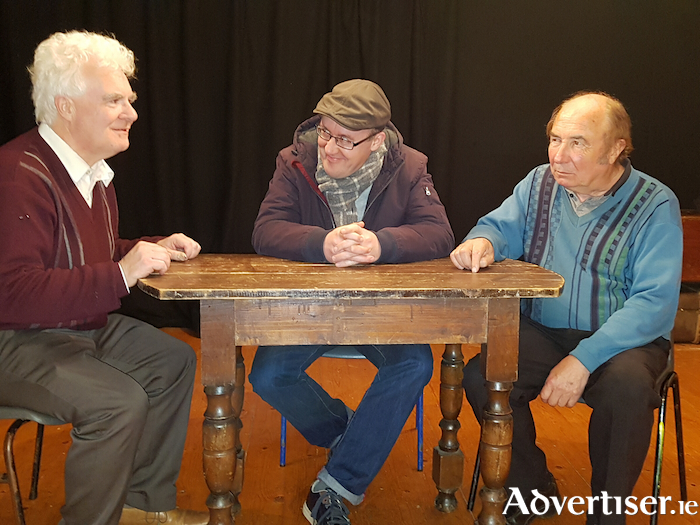 Wayne O’Connor, Michael Roper, and Gerry Farrell star in The Drawer Boy presented by the Beezneez Theatre Company in the Linenhall Arts Centre on Monday, March 5, at 8pm. The ever-popular Beezneez Theatre Company presents The Drawer Boy at the Linenhall Arts Centre in Castlebar on Monday, March 5, at 8pm. John McDwyer directs Gerry Farrell (An Ordinary Man ), Michael Roper (Lovely Leitrim ), and Wayne O’Connor (Mauritius ) in this beautiful multi-award-winning Canadian play written by Michael Healey. A young actor visits a farm in search of material for a play his company is creating. At the farm, he finds two elderly farmers who have secrets from each other and from the world. Over the course of his visit, these secrets are brought to light in a humorous and moving evening of theatre. Another Beezneez hit on the cards, early booking is advised.